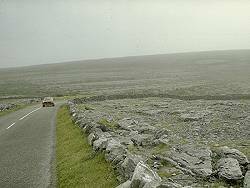 Image: The Burren Area in Co. Clare, Ireland. Geologists call karst areas like this bare karst because of the lack of vegetation. 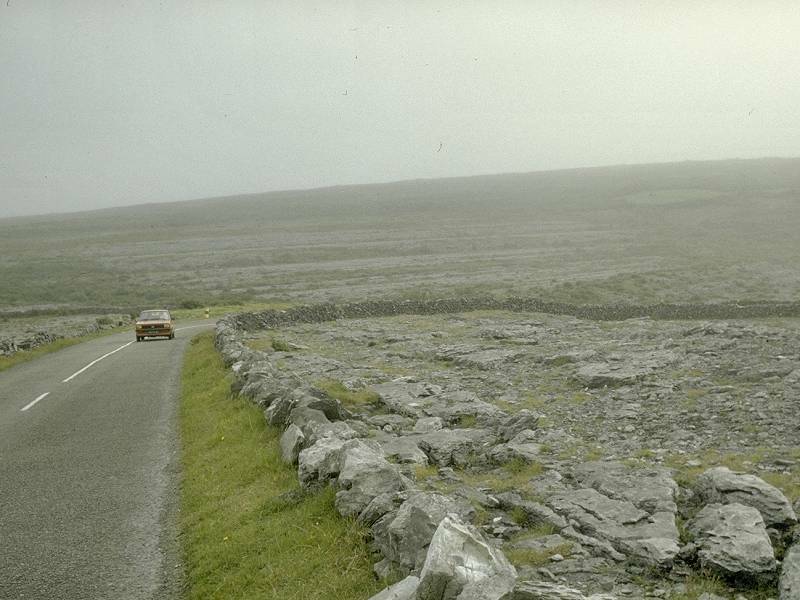 The typical feature of the Burren are limestone pavements or Karren. The bare karst has no rivers and no trees, but the flora is often very interesting. In most cases the bare karst is an artificial landscape, created by men. When the area gets riverless because of the low ground water table, a natural vegetation of forest is able to keep the former state. But as soon as this difficile situation is disturbed by men, an irreversible process starts which leads to the bare karst situation. In Slovenia this process started more than 2000 years ago, when the Romans started to use the enourmous trees (!) as masts for their ships. From this point of view, the landscape is a remain of the wars against Karthago. The Triestine and Dinarian Karst in Italy and Slovenia. In fact this is only one karst area, divided into two parts by the political border. J.N. Jennings (1977): Limestone solution on Bare Karst and Covered Karst compared, BCRA - Cave Science, Vol 5 (4) pp 215 - 220.